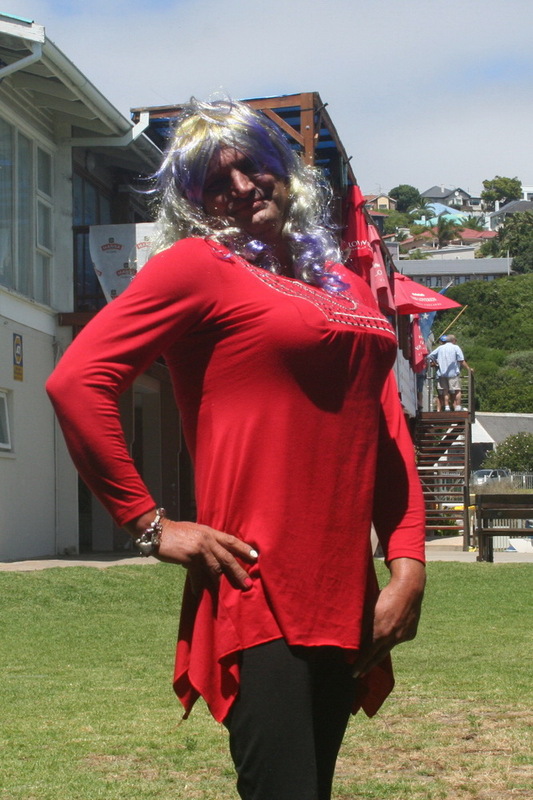 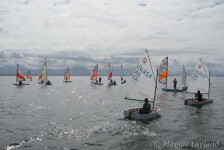 The MBYBC sailing section is a very active section at the club. 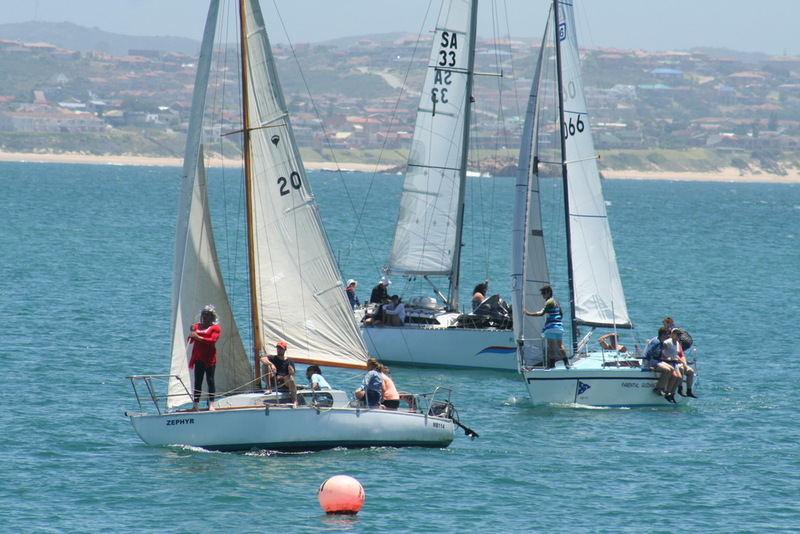 We have a regular bi- weekly club league that is fairly well supported by senior and junior sailors alike. The club league is sailed on both Saturdays and Sundays. 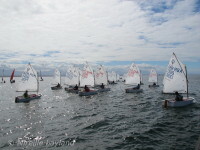 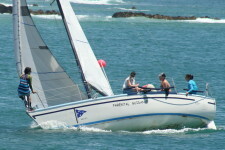 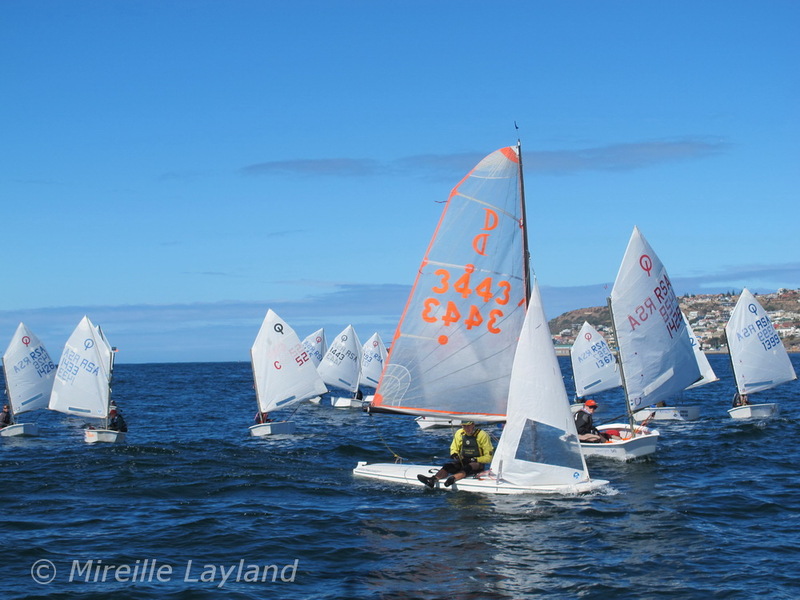 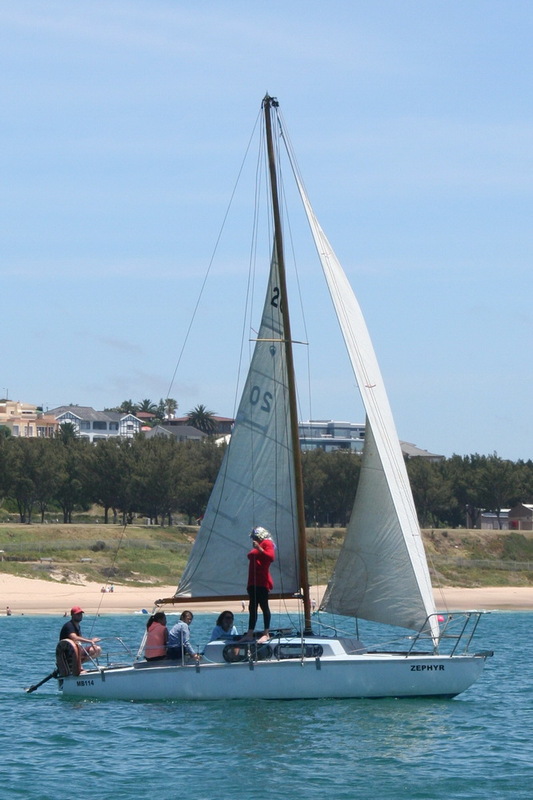 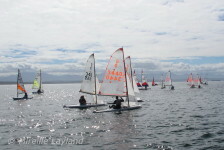 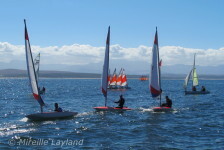 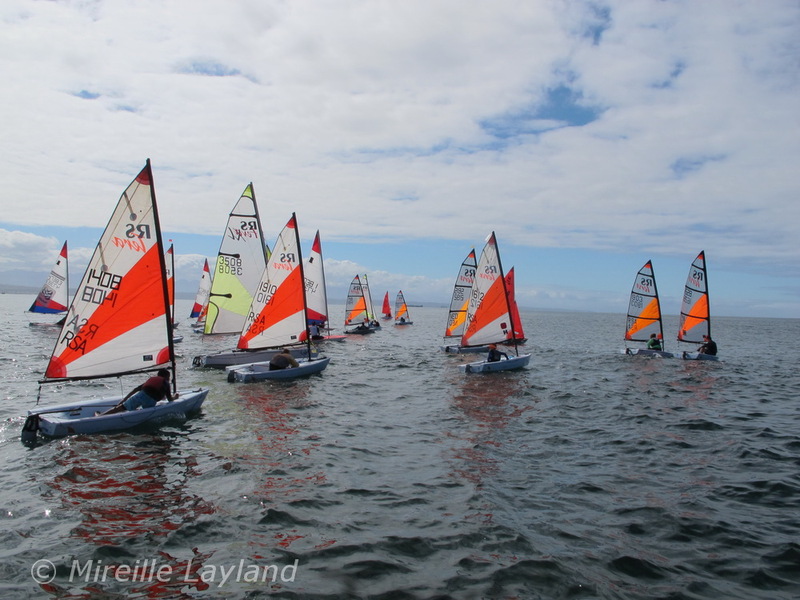 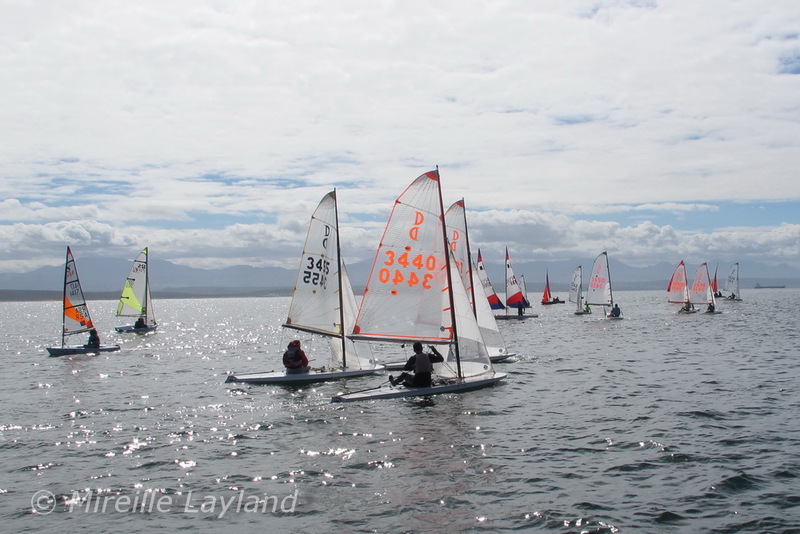 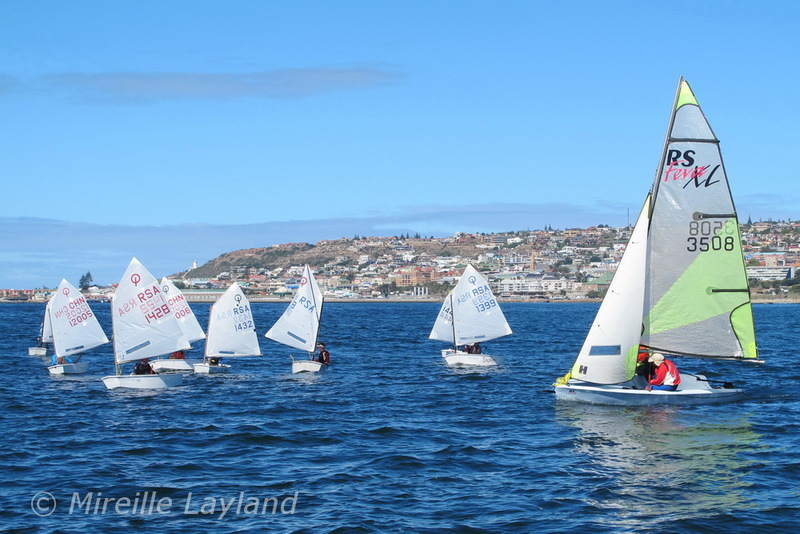 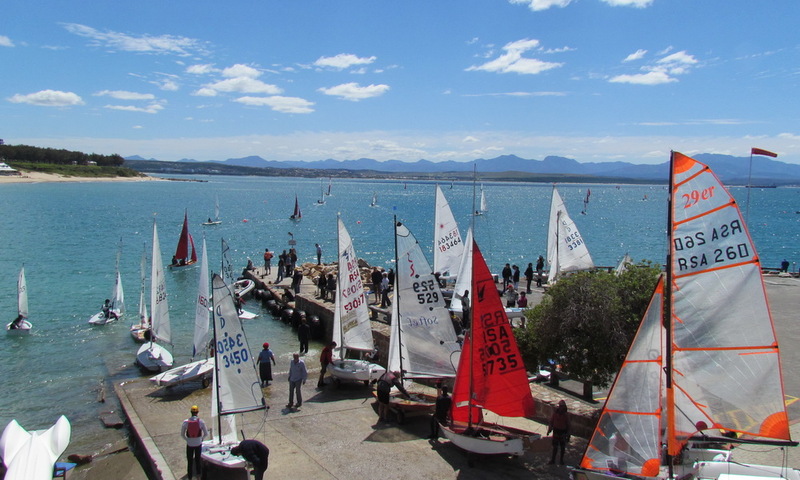 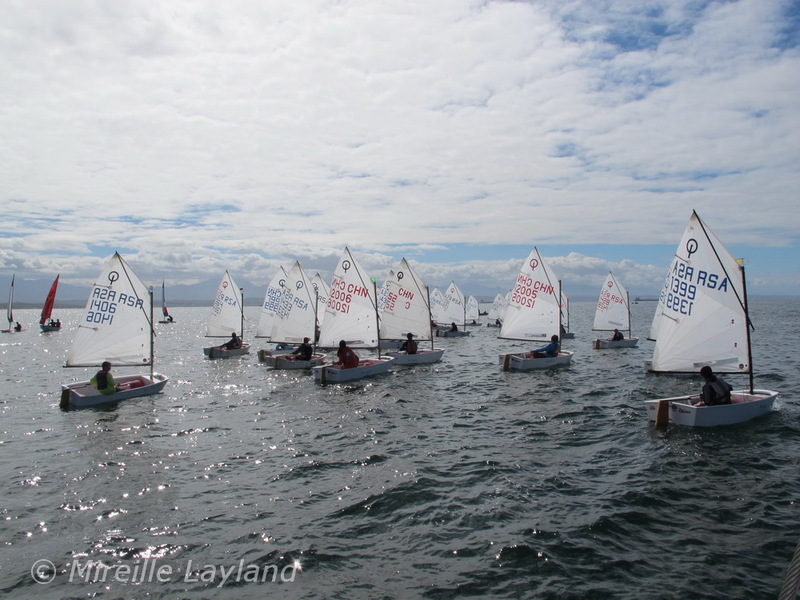 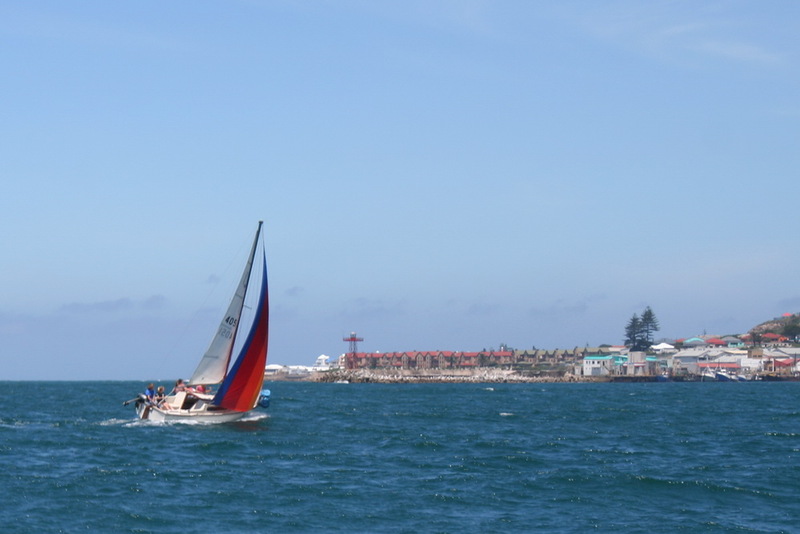 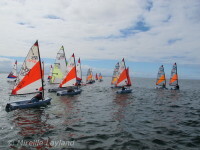 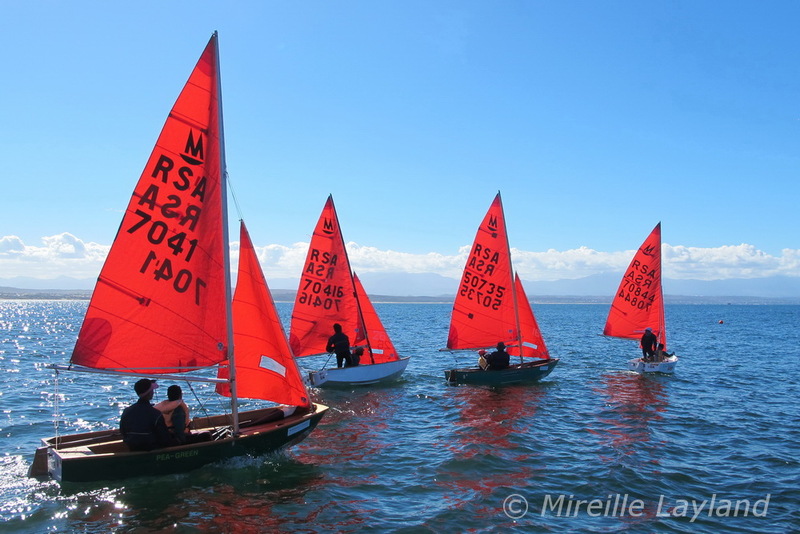 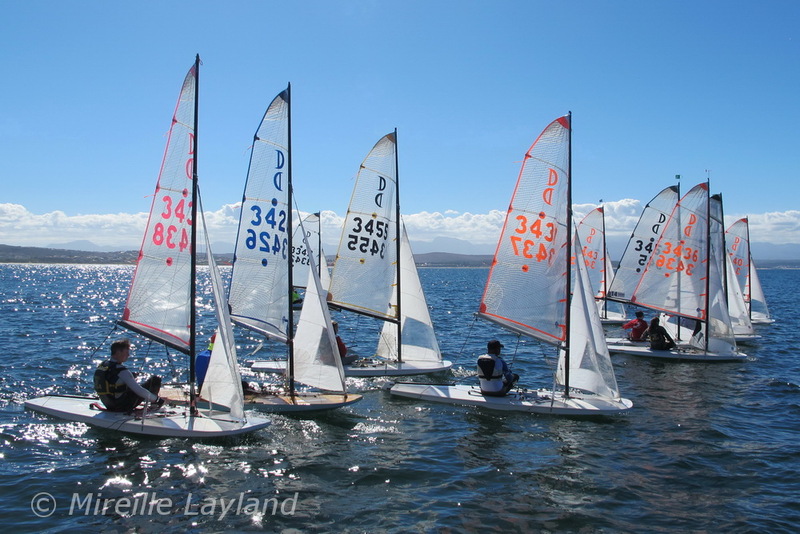 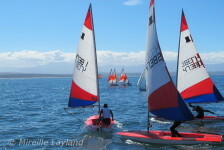 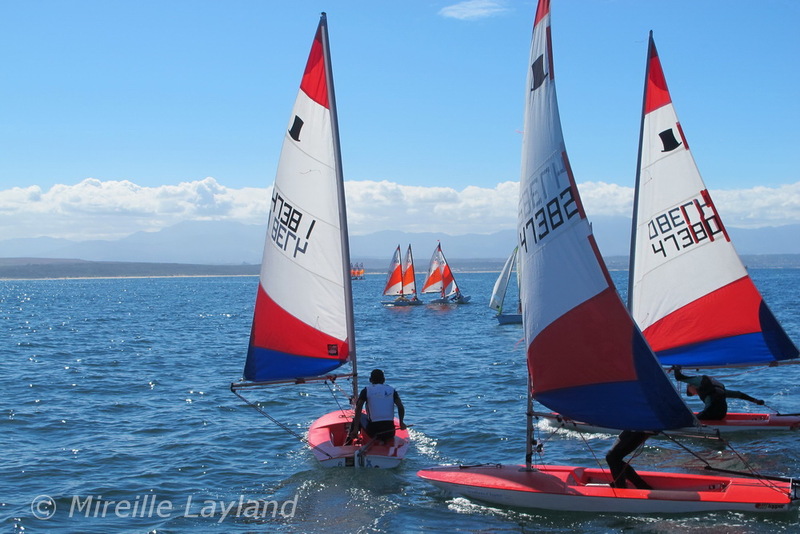 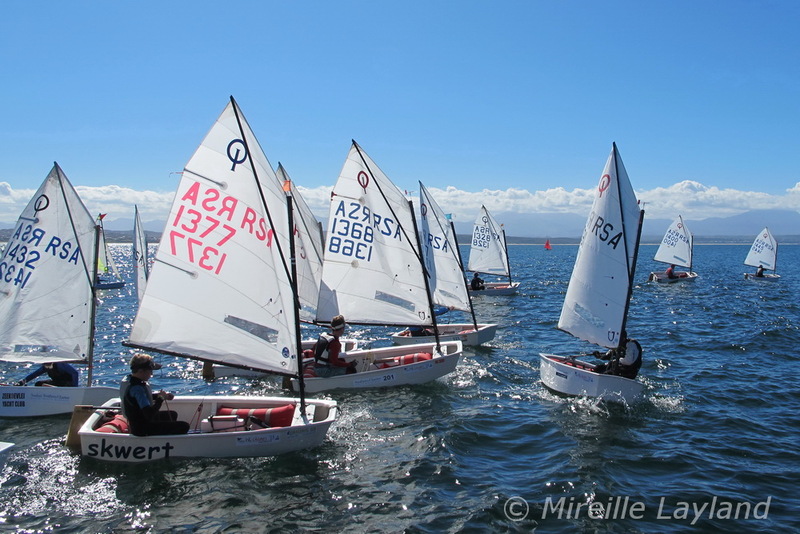 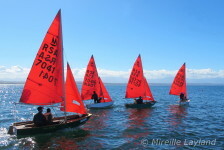 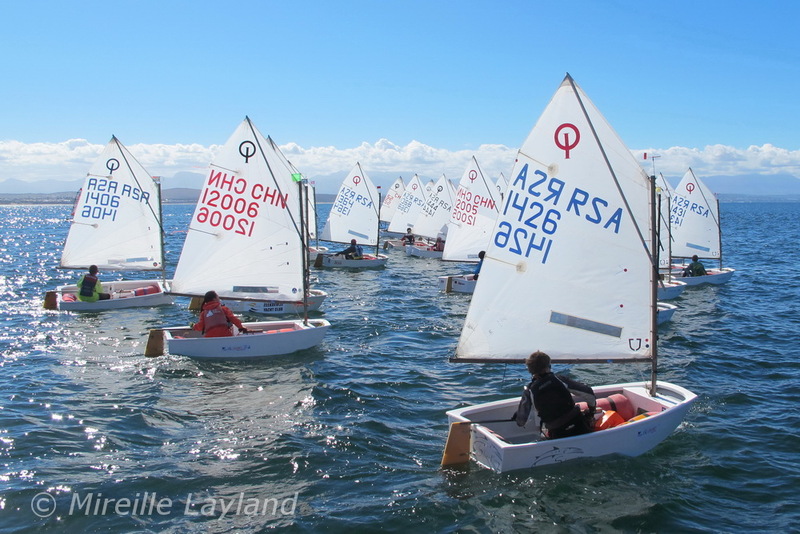 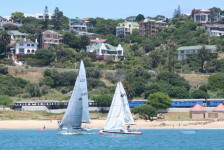 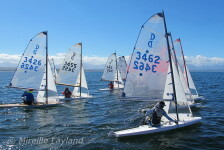 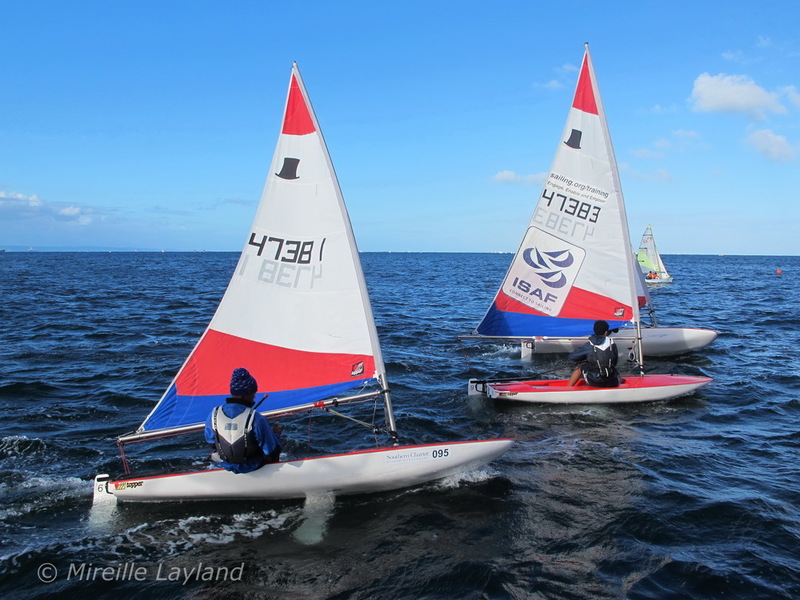 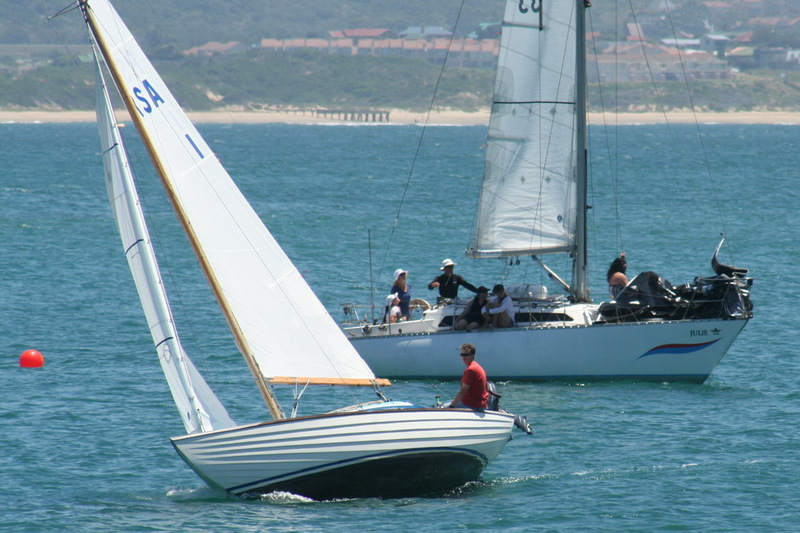 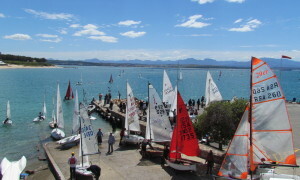 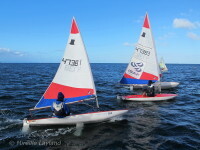 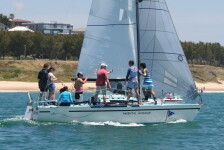 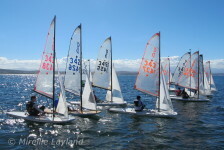 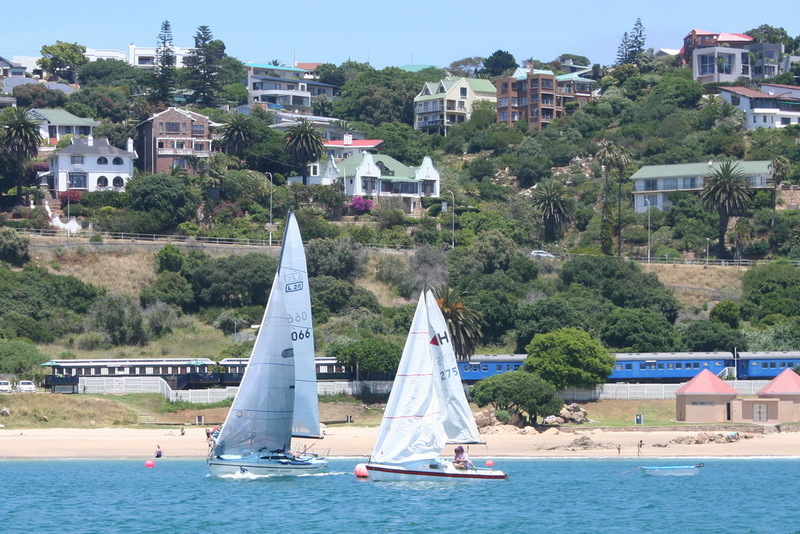 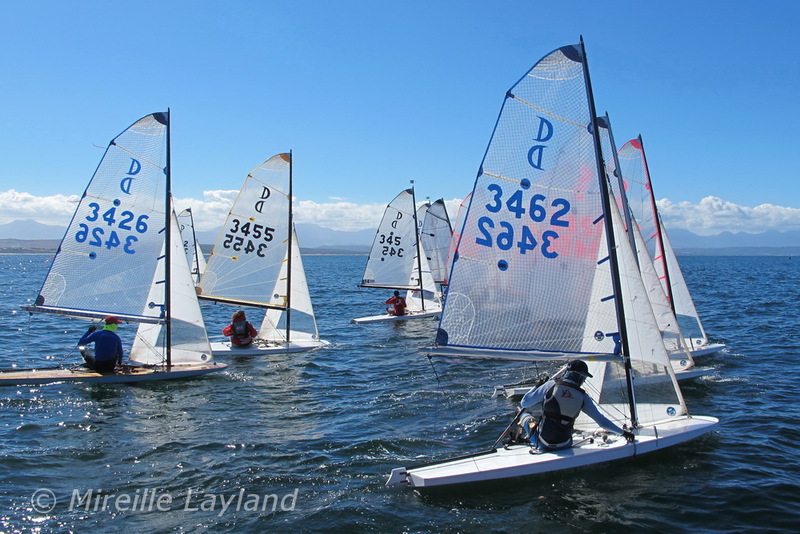 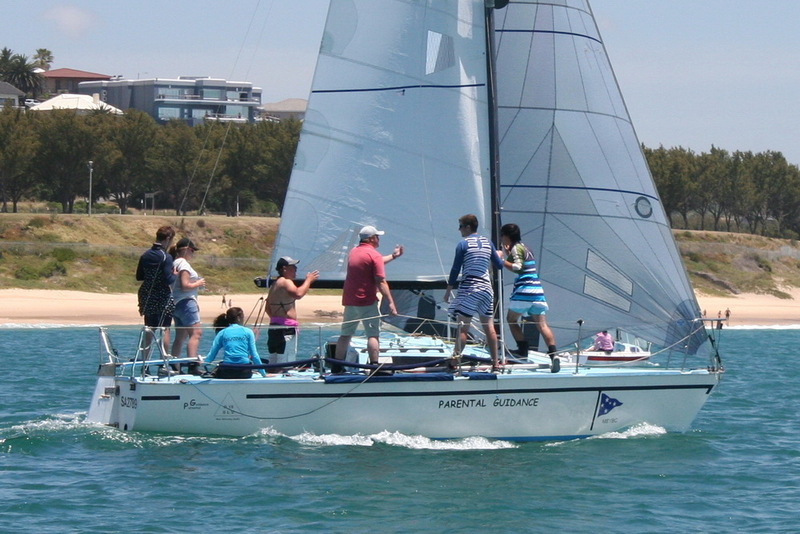 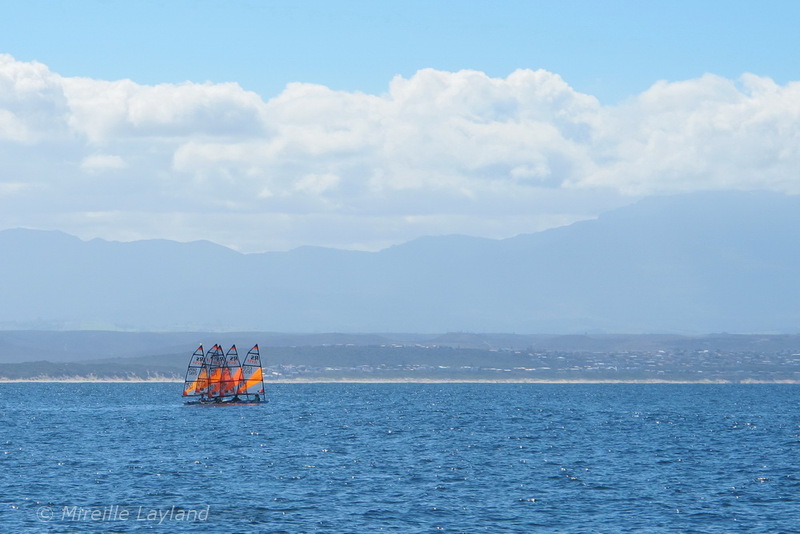 The club league attracts a variety of dinghies as well as catamarans. 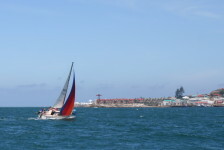 We alternate around the can races with long haul and semi long haul races as well as match racing where sailors compete against each other in two identical boats. 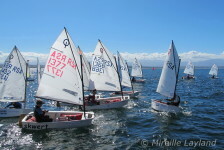 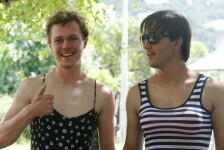 A lot of experience is gained and sailors have a lot of fun and excitement in the process. 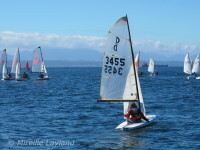 The MBYBC sailing season officially opens early in September when we have an opening cruise. 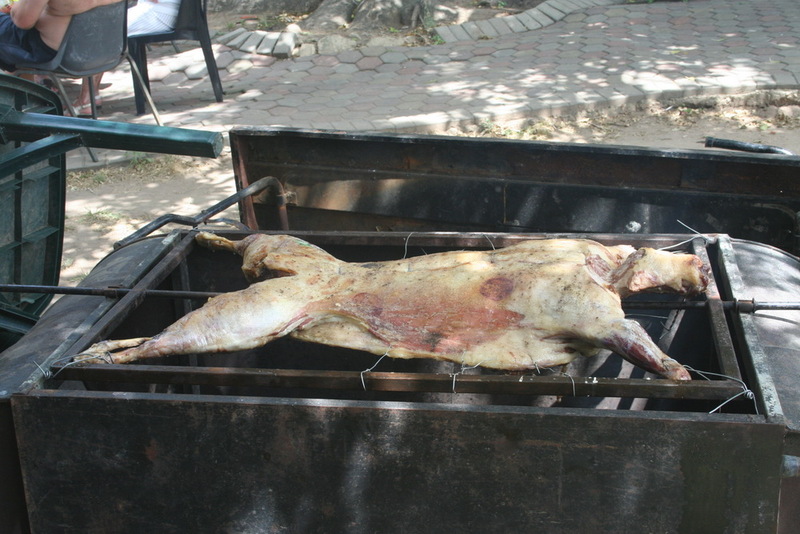 This is so much fun and all members look forward to this festive day. 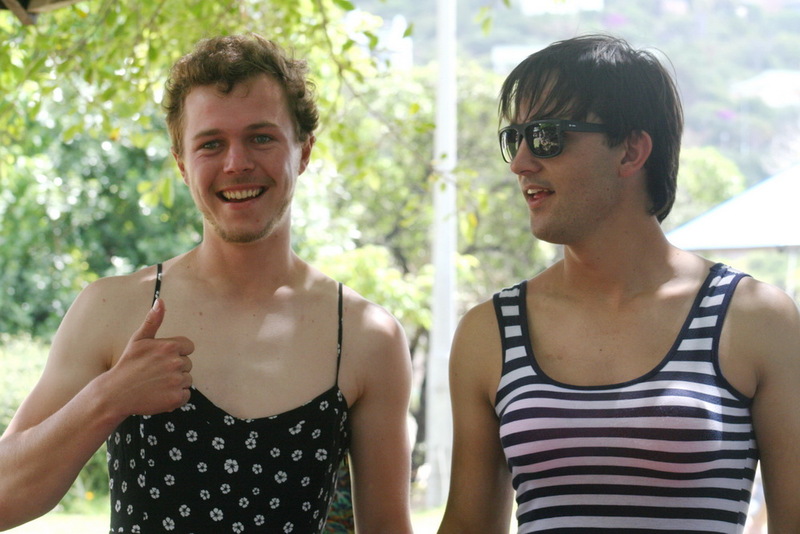 On this day the club is also open to the public and everybody is welcome to join in. At the opening cruise tea and cake is on offer after the sail past. 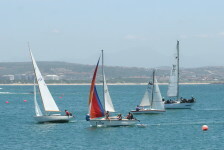 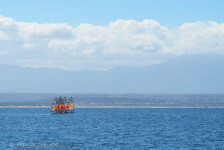 The participants follow the sail past with a water baloon fight and this is always the part of the proceedings that is enjoyed most by people on the water as well as the spectators on shore. 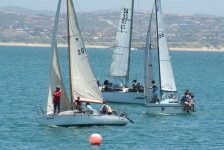 The season ends in May but some of our sailors partake in out of season social sailing during the winter. 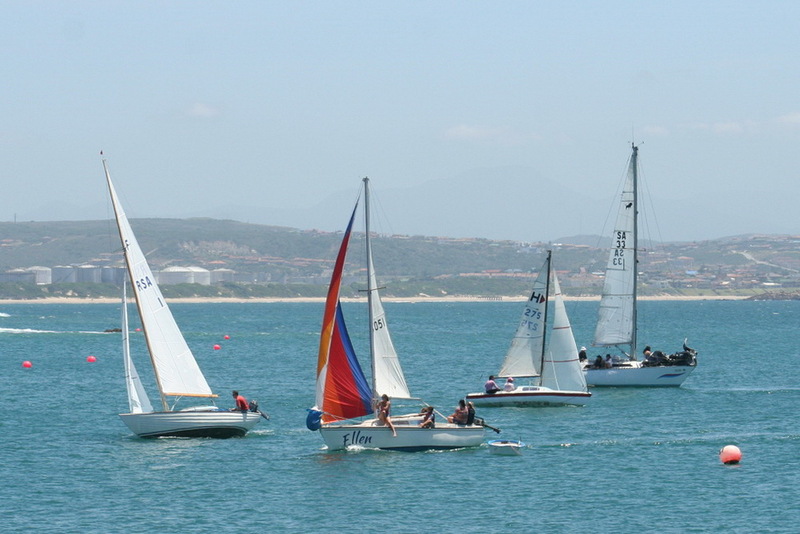 The highlight of the sailing calendar is the summer holiday when the bay is dotted by many colourful sails. 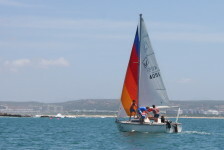 We have a sailing school that is run very effectively and they do exeptional work introducing people to sailing and training children of all ages. 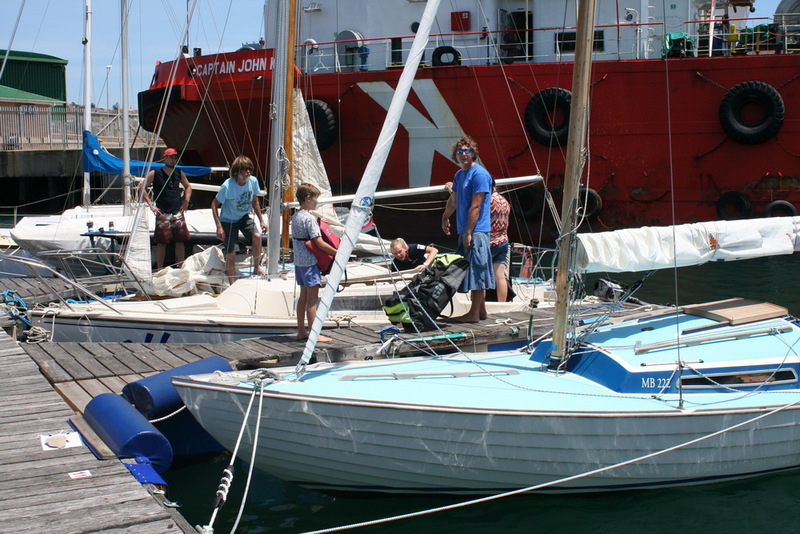 They are supported and assisted by willing parents and a team of older, more experienced sailors who themselves have passed through the sailing school. 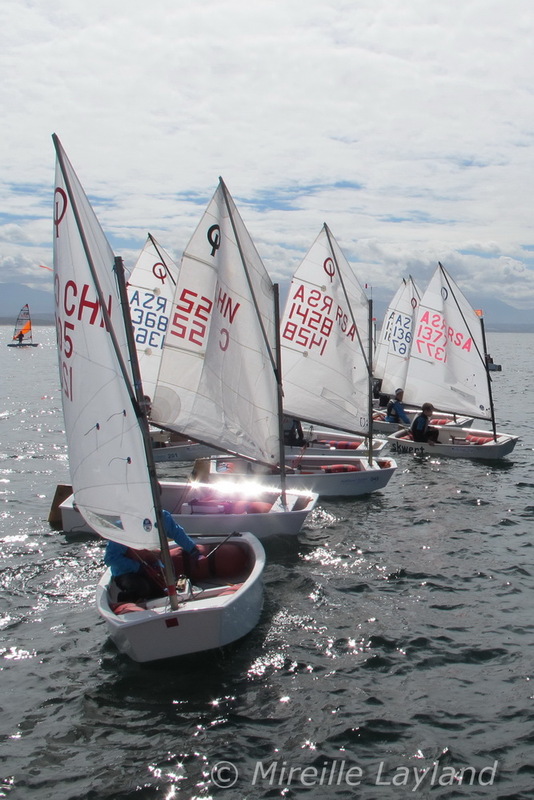 The sailing school as well as the MBYBC are strong supporters of sailing development and a lot is being done to introduce previously disadvantaged children to sailing. 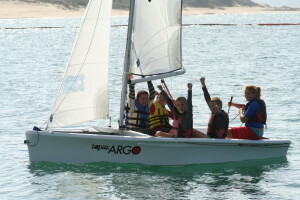 We find that sailing builds character as well as increasing confidence. 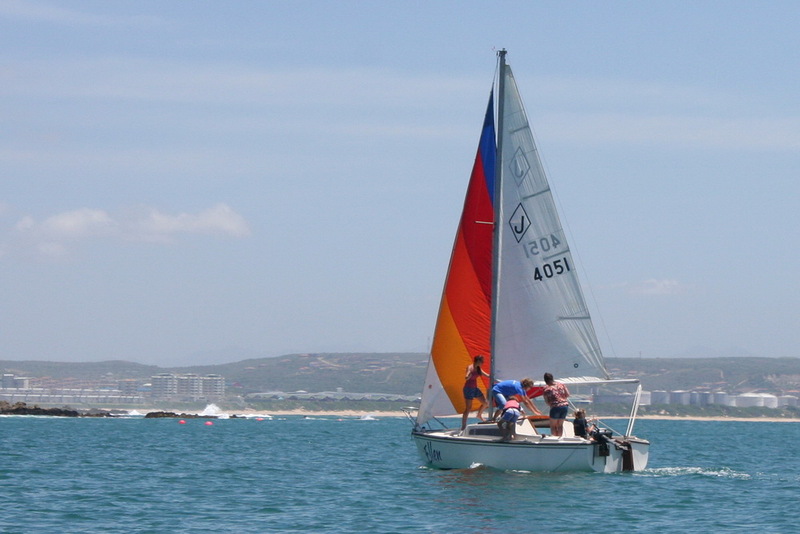 It teaches children a lot about discipline, self reliance and determination. 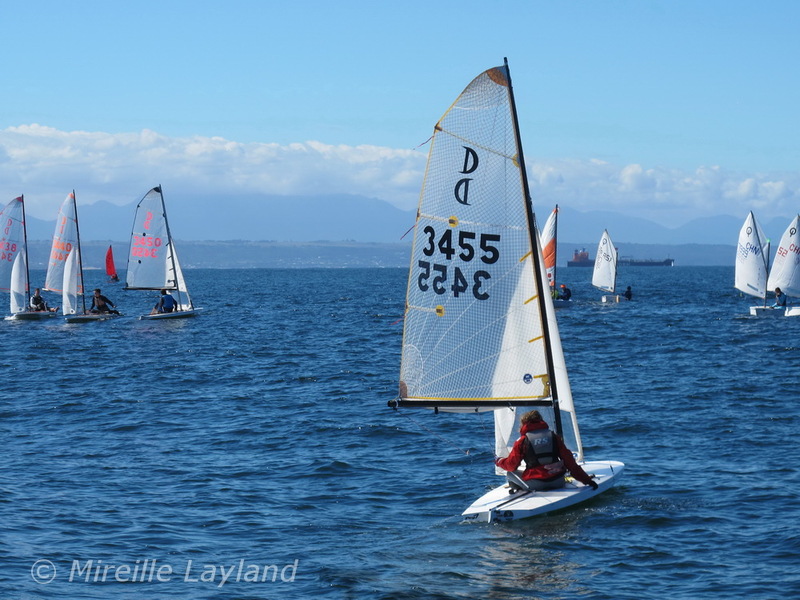 Our sailors take part in a lot of regattas in our area, our province, and nationally as well as internationally. Sailing does indeed open up new horizons and children who learn to sail are exposed to numerous opportunities with a few eventually going on to earn a living in the world of sailing.